Does Christmas decorating add stress to your already busy life? Most of us look forward to the holidays all year long, but as that time of year approaches, you may begin to dread bringing the old boxes down from the attic, untangling lights and arranging garland. But there’s an easy way to update your Christmas style and decorate for the season in one swift move. 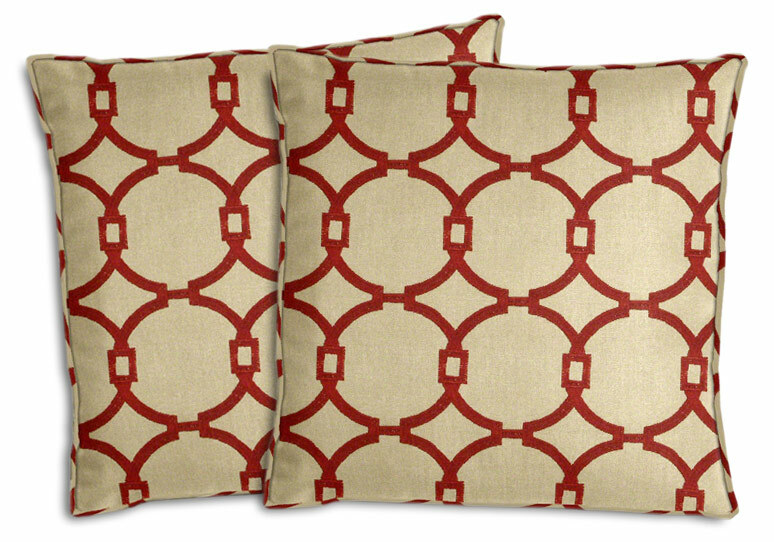 Take advantage of Cushion Source’s designer-coordinated collections to bring your individual taste into your decor. Our interior designers created eight Christmas collections to make sure each piece is beautiful in itself and that the entire collection creates a gorgeous scene in your home that fits your style. From traditional Christmas colors to the muted but elegant colors of winter, and from traditional patterns to trendy fabrics, these hand-picked coordinates will be the talk of your annual gathering. The Whimsical Christmas collection features traditional hues of green, red and white in fun prints that are both playful and trendy. 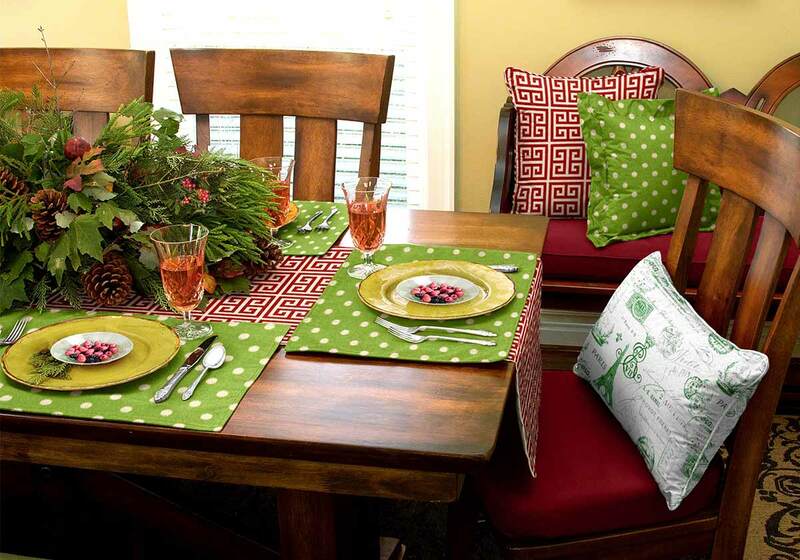 Add style and color to your Christmas dinner table with a table runner and placemats in fun colors and patterns. 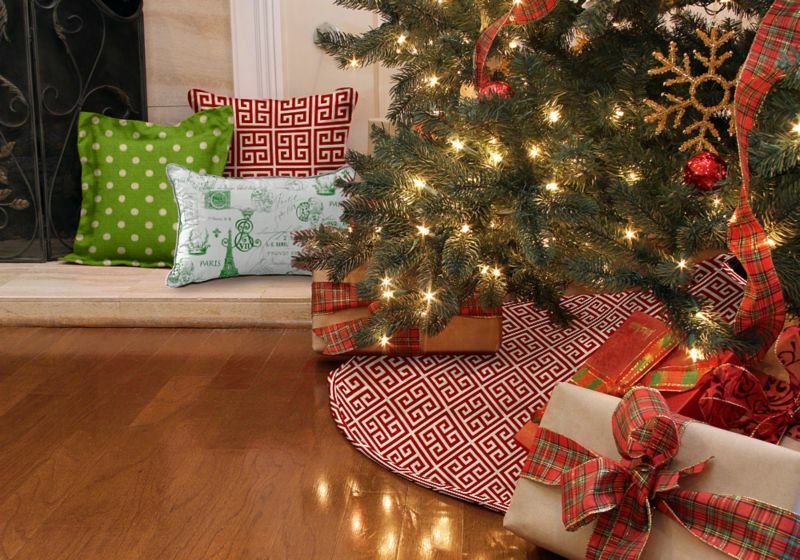 Add a set of three pillows in coordinating and matching patterns to complete the “Whimsical Christmas” scene. 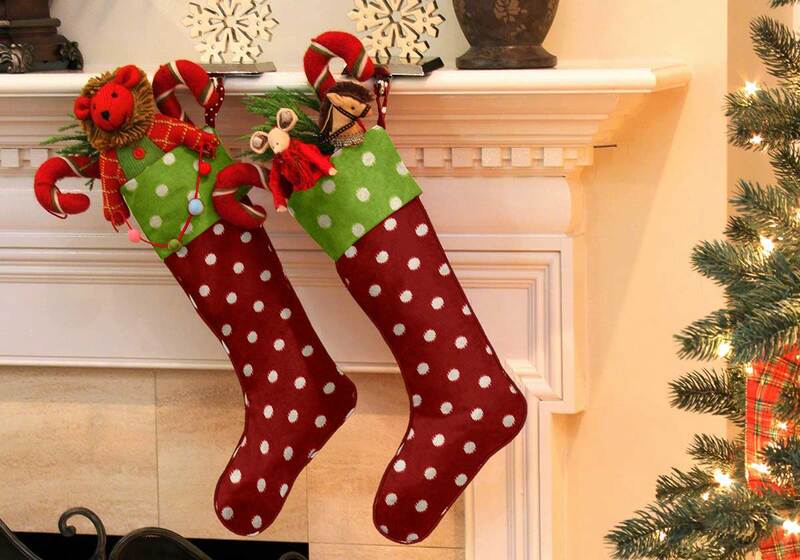 Hang beautiful stockings on your mantle this season that beautifully coordinate with your tablescape, tree skirt and other decor. 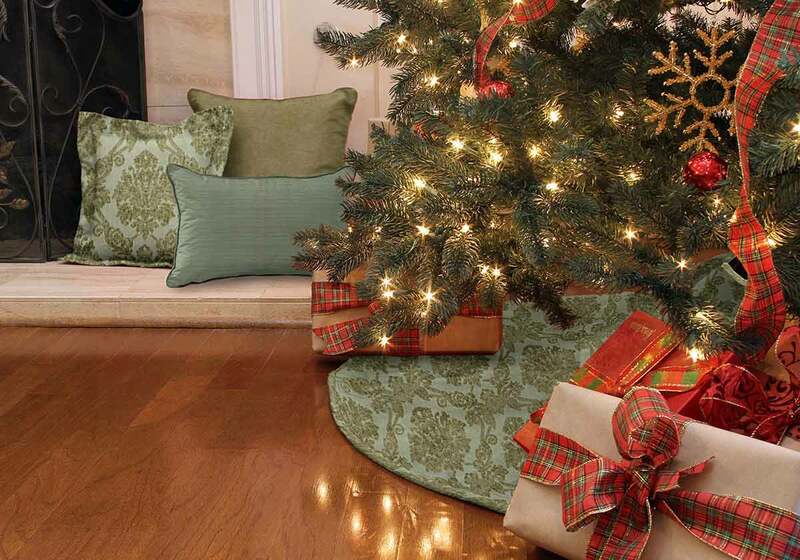 A fun tree skirt rounds out the Whimsical Christmas collection. When all of these elements are brought together, you’ll have a scene even your mother-in-law will love. The Gilded Holiday collection features shades of black and gold, with a hint of golden brown, creating a sophisticated, modern design. Christmas decorating doesn’t have to mean all reds and greens. 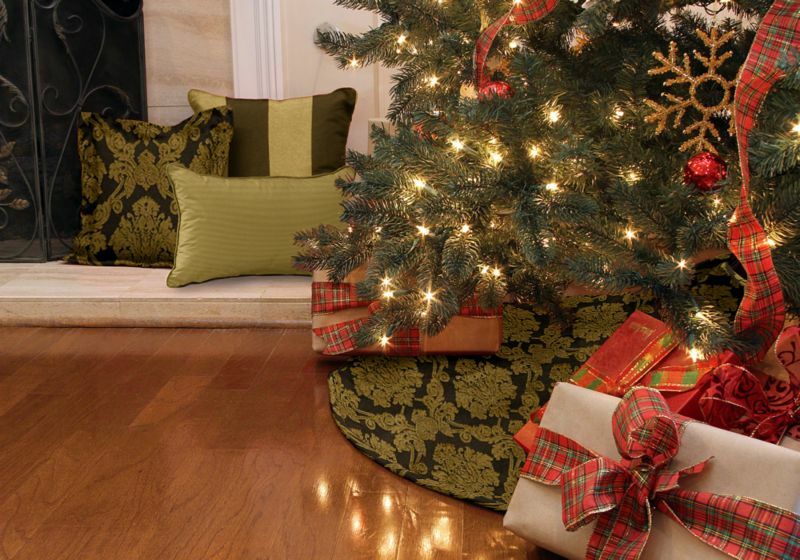 The Gilded Holiday collection’s creative use of a gold and black Christmas tree skirt, with coordinating fabrics on a set of three decorative pillows, creates a bold, stunning scene. 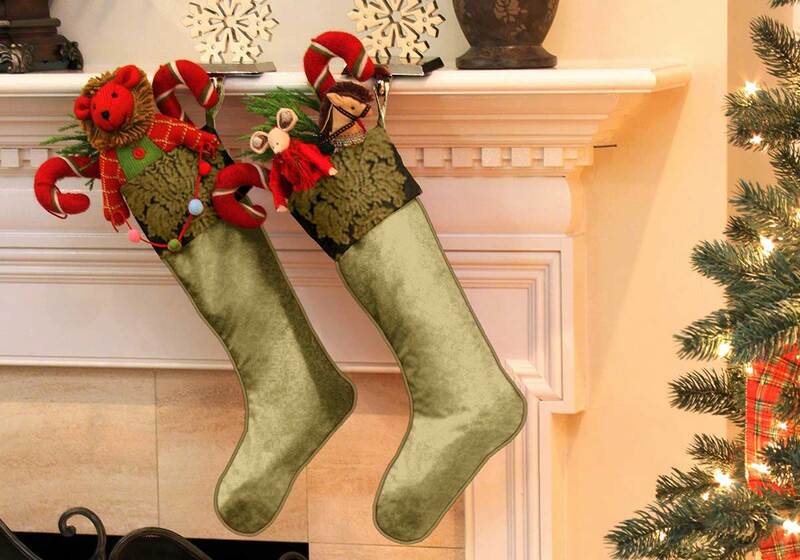 Gold Christmas stockings trimmed with a black-and-gold cuff are both trendy and luxurious. 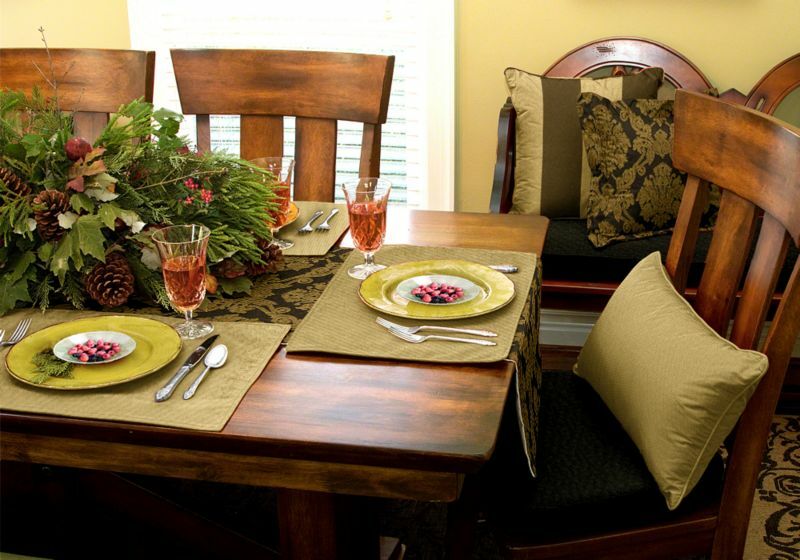 This designer collection creates a lovely and elegant dining scene. The gold, brown and black design of this table runner and placemats will drape your dinner in luxury. Like pillow cases, seasonal pillow covers don’t include filling but instead are used to cover your current pillows. Put your current throw pillows inside your choice of Cushion Source’s seasonal pillow covers for quick decorating options throughout the year. One of the hottest trends in home decor today is the use of pillow covers. Rather than purchasing new pillows for every season or holiday, you can instead place pillow covers over your current throw pillows, as long as the covers and the pillows are basically the same size. This cuts down on expense and provides an easy way to make quick decor changes without actually changing very much! Pillow covers are typically sold without filling due to their purpose. The covers are essentially pillow cases, but are very well made at Cushion Source using high-quality fabrics. lovely cushions on the top right picture! would definitely help out my Christmas Decor for 2013!